Should You Hire a MIPS Expert at Your Practice? The doctors and nurses in your office are experts at what they were formally trained to do: diagnose and treat patients in their specialty. Your top coders, administrators, and billers have all earned expertise in their fields, too (whether through professional education on on-the-job know-how). When it comes to incentive program participation, however, almost no one is a true expert… which is perhaps why everyone – doctors, billers, and front desk alike – tends to think they are. For many practices, adherence to government programs – such as MIPS, MACRA, or Meaningful Use – is an all-hands-on-deck exercise across the office, with dozens of people handing off reporting responsibilities to one another. Often, the efforts are excessively inefficient. According to an MGMA survey, nearly half of physician practices spend more than $40,000 per full-time physician per year on complying with Medicare payment and incentive programs. The costs mount for a variety of reasons – from the loss of physician productivity to staff training needs to IT expenses. Part of the problem is that program requirements are an ever-moving target. 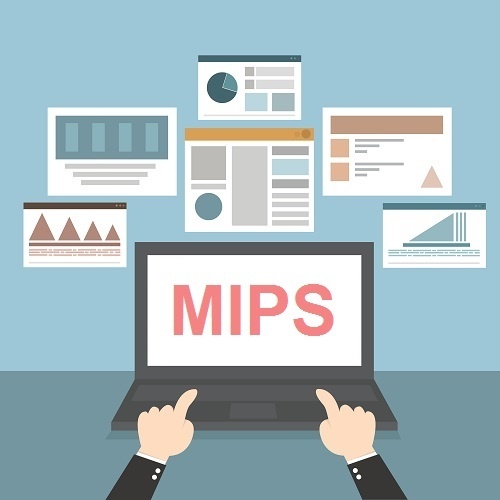 For example, MIPS (the quality reporting program for value-based payments) is subject to a variety of alerts, deadlines, and reporting changes. Responding to those changes effectively takes concerted coordination among staff, service providers – such as your medical billing service or EHR partner. But if your whole office “shares” MIPS expertise (or a collective lack thereof), there may be no point person monitoring for updates and ensuring they’re met – let alone herding the necessary forces to meet them in an efficient, streamlined way. That lack of ownership and management can lead to reporting mistakes and turn MIPS participation into a morale-killing exercise. By hiring a dedicated MIPS expert to manage program adherence – or training up one of your existing staff members to act as your end-to-end ‘MIPS Manager’ – you can minimize office-wide inefficiencies while boosting your odds of obtaining incentives. Consolidating expertise with a central staff member can even help others stay informed in a more cohesive way. For example, your MIPS Manager can share email updates with your office on program requirements, results, and reimbursements. That kind of knowledge sharing can help make MIPS participation feel more tangible and impactful (as opposed to being perceived as “just another” a required reporting exercise). So how should you start? Contact your HHS Regional Extension Center to ask questions and connect with a MIPS education partner. From there, assess whether you have enough resources in-house to put a staff member on this complex initiative full-time, or whether you may need outside help. We’d recommend all practices determine who their dedicated MIPS expert is and invest in keeping them as knowledgeable as possible. If that’s beyond your current practice means, consider working with a trusted medical billing firm with a wealth of incentive-program expertise of their own.